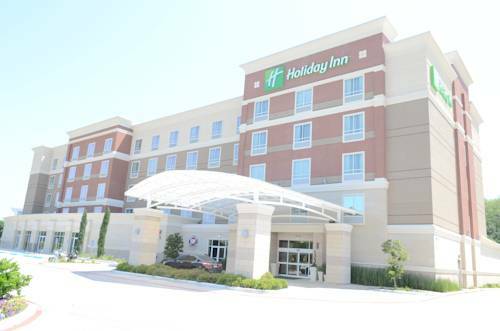 Welcome to the Holiday Inn and Suites Westway Park, Houston's newest and most sophisticated hotel in the area. Enjoy modern comforts of home while having a great location that places you in the heart of West Houston. Our hotel is designed with our travelers in mind. We are within walking distance to Travelers, Cameron, GE Oil & Gas, Invensys and numerous other businesses. Enjoy free shuttle service within a 5 mile radius of the hotel. Keep your workout routine in our fitness room then relax and enjoy a beverage poolside. Watch the latest news or cheer your favorite team in our Sporting News Grill. We are located 1 mile from Baseball USA and only 5 miles from Memorial City Mall and City Centre. Houston's Energy Corridor, the Galleria, Downtown and Reliant Park are just a minutes away. Bush Intercontinental Airport (IAH) is 26 miles and William P. Hobby Airport (HOB) are both less than 28 miles from the hotel. With 3,000 square feet of divisible banquet and meeting space, we have one of the largest meeting rooms in the area. Our space is perfect for a board meeting for 5 or a banquet for 200. We offer full service catering and audio-visual services. Our caring and attentive sales staff is always ready to assist with your next event. At the Holiday Inn & Suites Westway Park, we are dedicated to offering you service, quality and convenience. Our 3000 square foot meeting room is one of the largest in the area and can accommodate meetings and events up to 255 attendees. Located on the ground floor, the space is divisible into two separate rooms, the Ewing and Ryland rooms by airwall. 18-hole "Pine Crest" course at the Pine Crest Golf Club features 6,907 yards of golf from the longest tees for a par of 72 . The course rating is 72.5 and a slope rating of 124. Designed by Darryl Witt, the Pine Crest golf course opened in 1992. Baseball USA focuses on using Baseball as a way to leverage our ability to teach young adolescence the significance and importance to give back to those who are in need in the community. Home of the Houston Rockets National Basketball Association team and a well-known concert venue in downtown Houston. The Toyota Center is within walking distance of the George R. Brown Convention Center and Discovery Green park. Performance arts venue located in the Houston Theatre District offering opera, dance and other performances in an elegant setting in Downtown Houston along Buffalo Bayou. The Hobby Center offers world class entertainment to the Bayou City. The Alley Theatre is Houston's home for top Broadway shows. The venue is located in Downtown Houston on the banks of Buffalo Bayou and offers performances to suit every taste.